Every time I fly, I take copious notes and plenty of photos. These all get turned into a trip report which I publish here. You can see every trip I've taken over the last several years here. These tend to get great feedback, but I'm always looking for more. 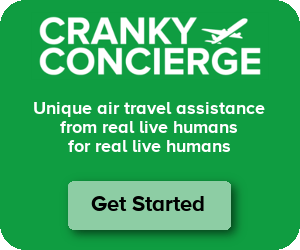 If you have ways to improve these reports, let me know at cf@crankyflier.com.